Why Are Stacey Abrams And Andrew Gillum Opposing A North Carolina Judicial Nominee? Failed Democratic gubernatorial candidates Stacey Abrams and Andrew Gillum came out against a North Carolina district court judge nominee. Farr was nominated by President Donald Trump in July 2017. Lawyer Thomas Farr, 64, was nominated to preside over the Eastern District of North Carolina by President Donald Trump in July 2017 and could fill the longest judicial vacancy in the country, reported NBC News. The vote is extremely tight and could even require a tiebreak from Vice President Mike Pence. 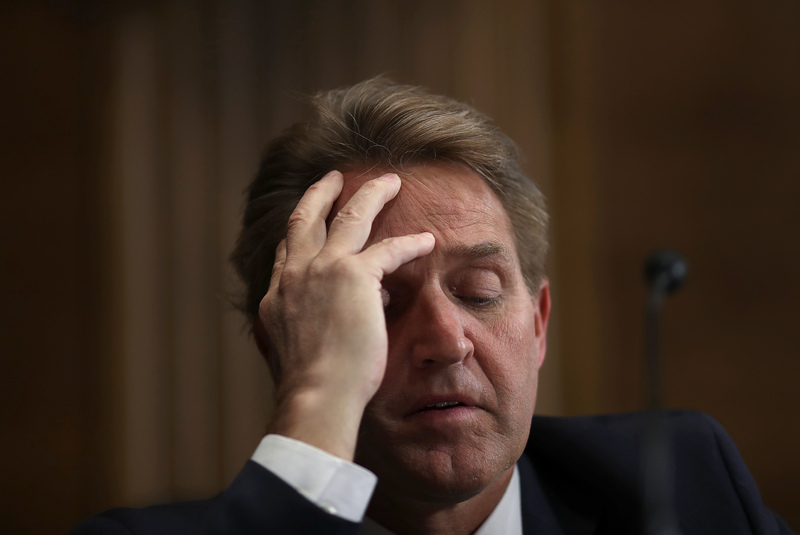 Forty-nine Democrats plus Arizona Republican Sen. Jeff Flake will vote against Farr, according to The Washington Times. Flake announced on Nov. 14 that he won’t vote to advance or confirm any judicial nominees until the Senate protects special counsel Robert Mueller’s investigation. Abrams and Gillum say Farr is not qualified for the judgeship because of his work on cases involving congressional and legislative boundaries and voter ID laws. The Supreme Court decided that some of the boundaries approved by the North Carolina legislature in 2011 were racially gerrymandered, according to NBC News. A voter ID law Farr defended was “enacted … with discriminatory intent,” found a three-judge panel of the U.S. Court of Appeals in Richmond, Virginia, according to Frontline. North Carolina Republican Sens. Richard Burr and Thom Tillis have continued to support Farr. They pointed out that Farr was nominated to the same position by former President George W. Bush in 2006 and 2007 although he never made it to a committee hearing, according to the Raleigh News & Observer. Farr also has a “well qualified” rating from the American Bar Association, according to NBC News. Senate Minority Leader Chuck Schumer criticized Farr from the chamber floor Monday. “This is a man who stands for disenfranchisement of voters, particularly minority voters, that is what he stands for. You can try to parse it any way you want, but that is what he has done. That is not America,” Schumer said according to The Washington Times. Farr served as legal counsel during former Sen. Jesse Helms’s 1990 Senate campaign, when the Helms campaign sent out mailers that the Justice Department said were designed to intimidate black voters from showing up to the polls, according to NBC News. Farr has distanced himself from the mailers and said he played no role in their design or dissemination. “I was appalled to read the incorrect language printed on the card and to then discover it had been sent to African Americans,” Farr said according to NBC News. Gillum and especially Abrams made fair election processes central to their campaigns. 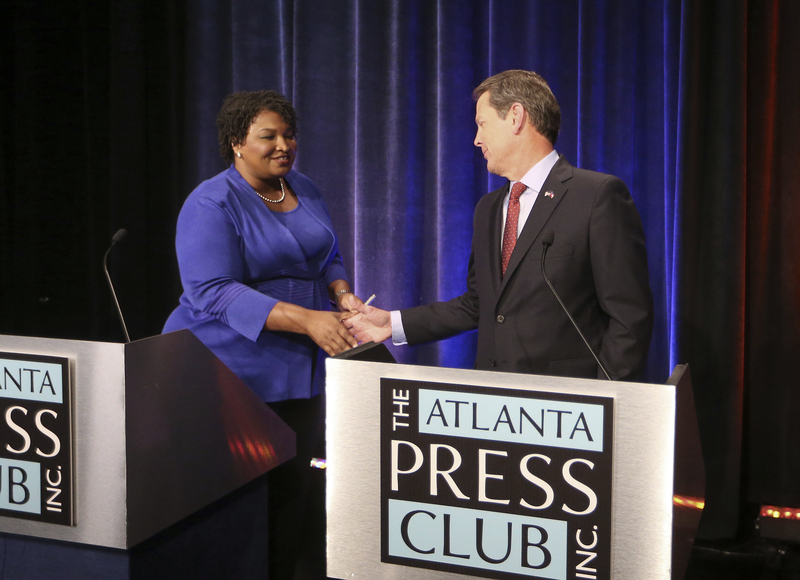 Abrams lost to Republican Brian Kemp, who was formerly Georgia’s secretary of state overseeing elections. Abrams, Georgia’s former state House minority leader, repeatedly accused Kemp and his office of suppressing minority voters because of the “exact match” voter ID law that flags voter registrations with even slight discrepancies from other official identification documents, according to The Washington Post.